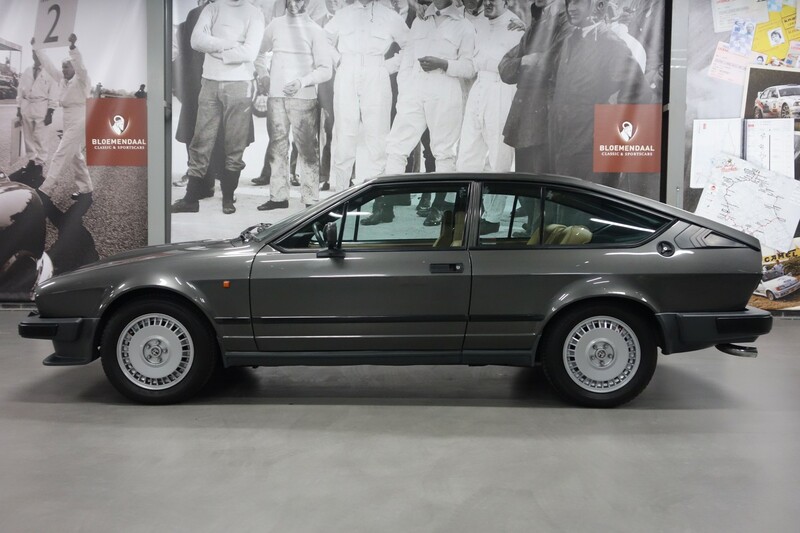 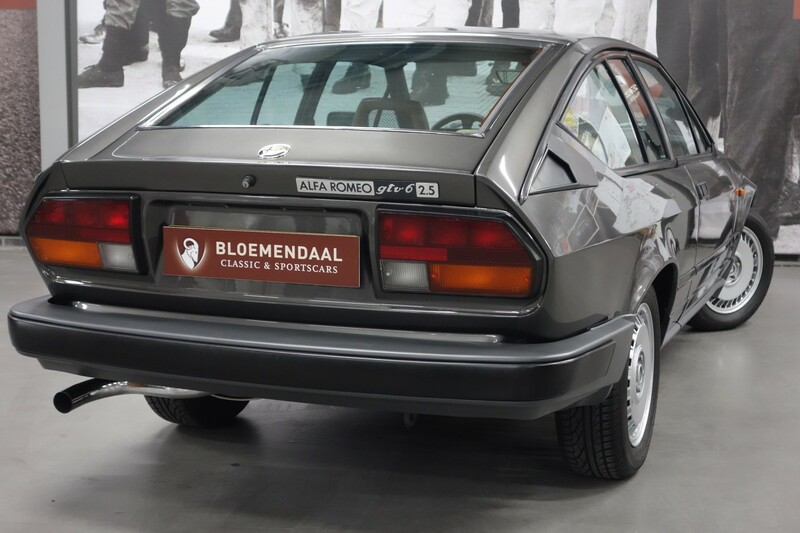 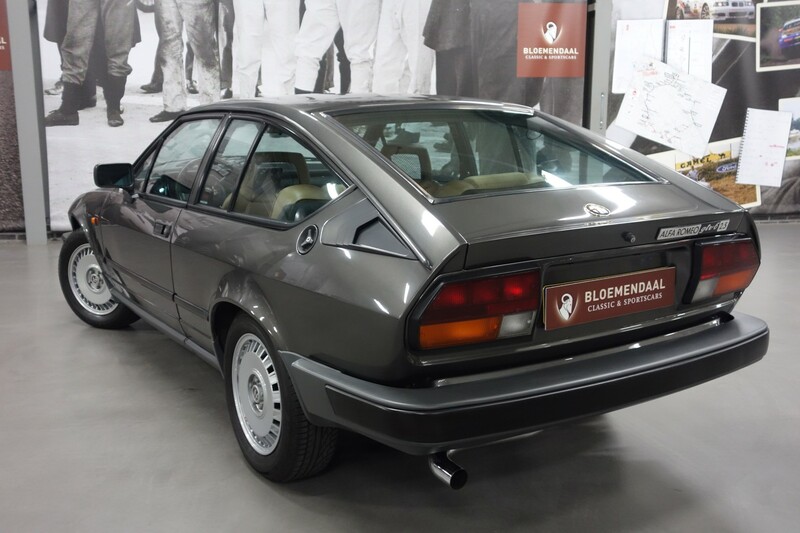 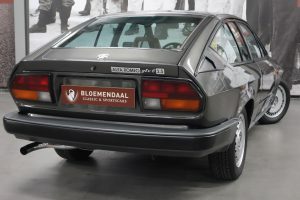 This Alfa Romeo GTV6 2.5 was delivered to the first and Dutch owner on 16 June 1983. 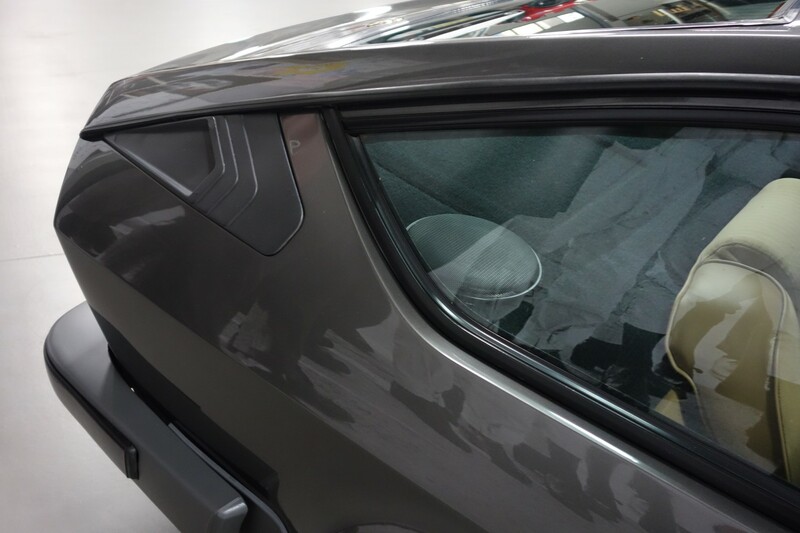 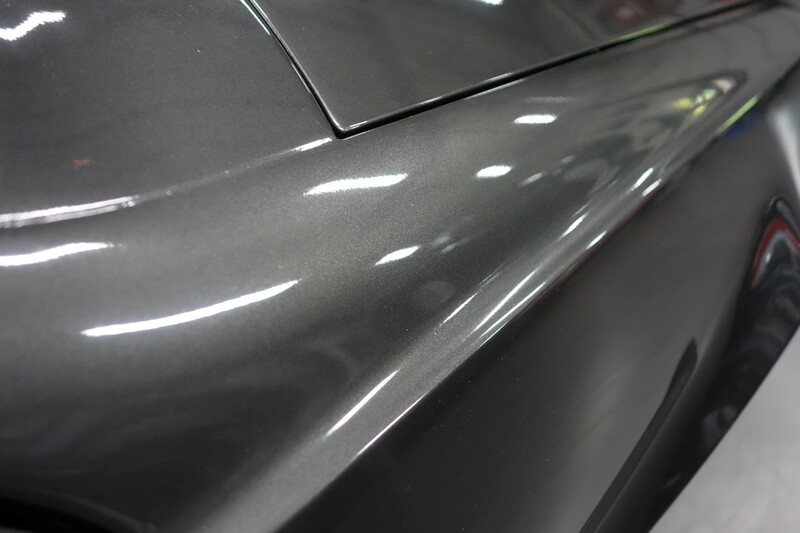 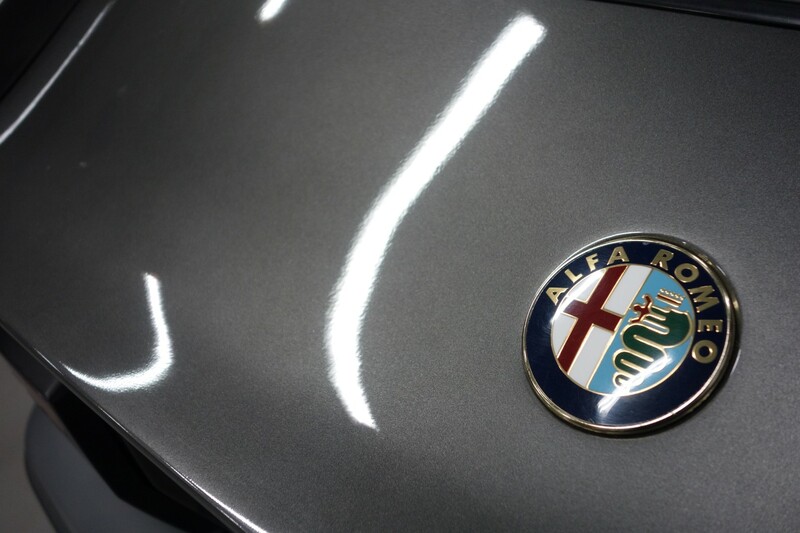 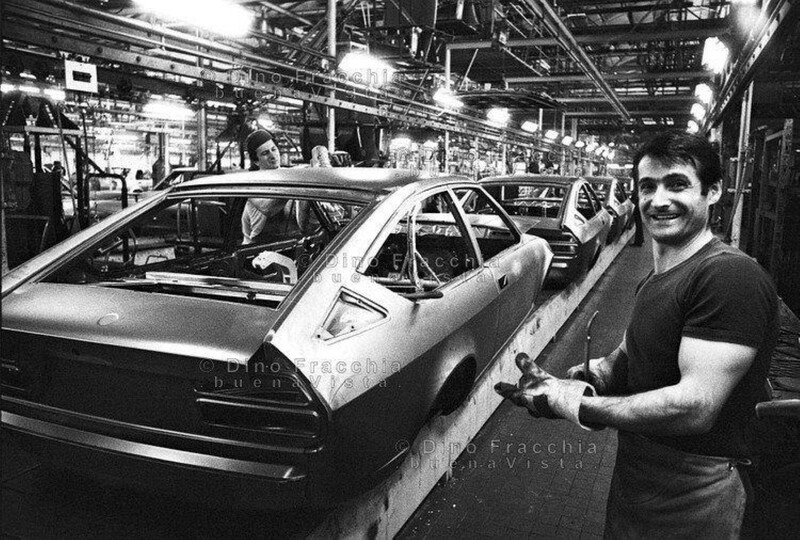 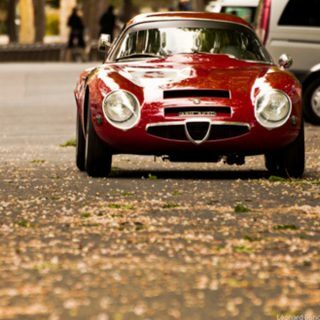 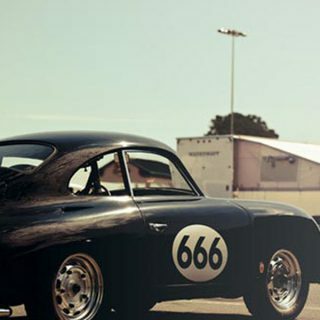 This man, who was originally Italian, was naturally already infected with the Alfa Romeo virus and that is also reflected in the overall condition of the beautiful coupe. 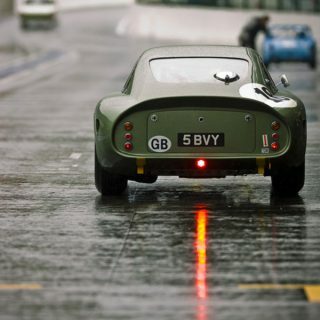 The car looks very good and everything shows a real enthusiast owned the GTV. 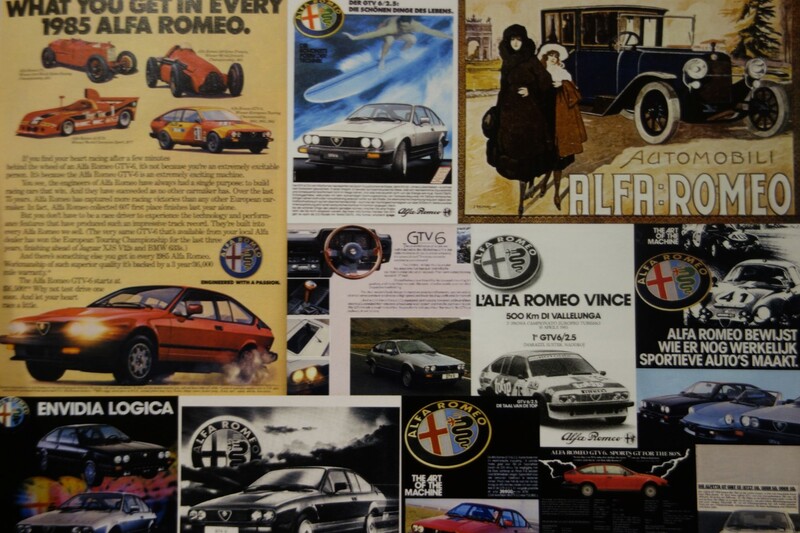 Also a thick map with the extensively documentation comes with the car. 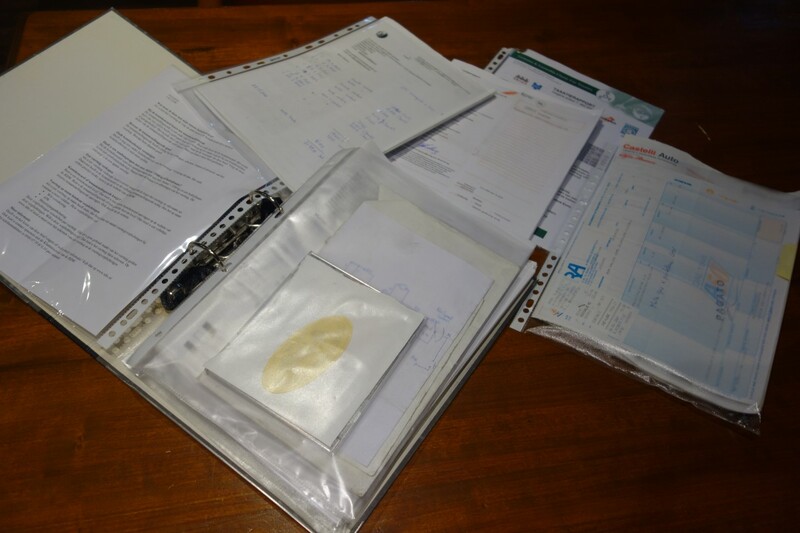 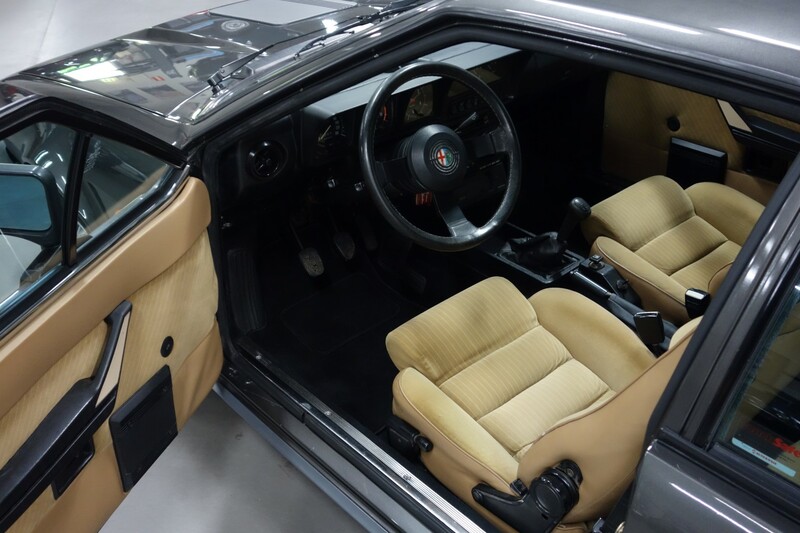 All invoices of maintenance and repairs are kept neatly and gives a very good impression of what has been done to keep the GTV in a good condition. 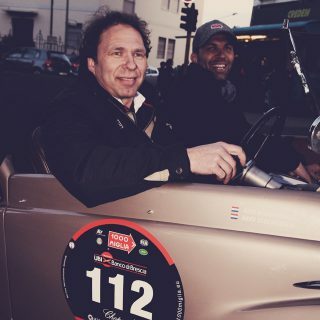 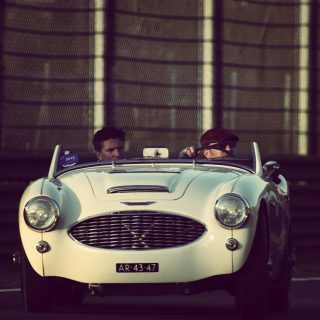 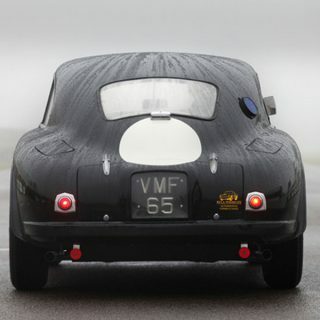 The car runs, steers, swifts and brakes perfectly. 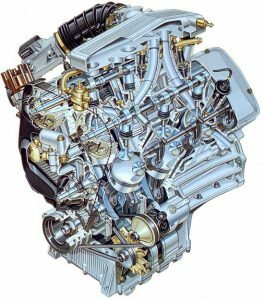 In terms of engine and gearbox, these are things that are due to, among other things, a overhaul of the gearbox and cylinder heads. 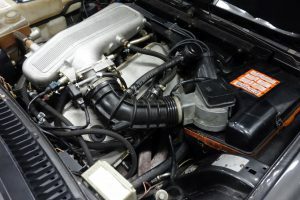 A new timing belt has recently been installed too. 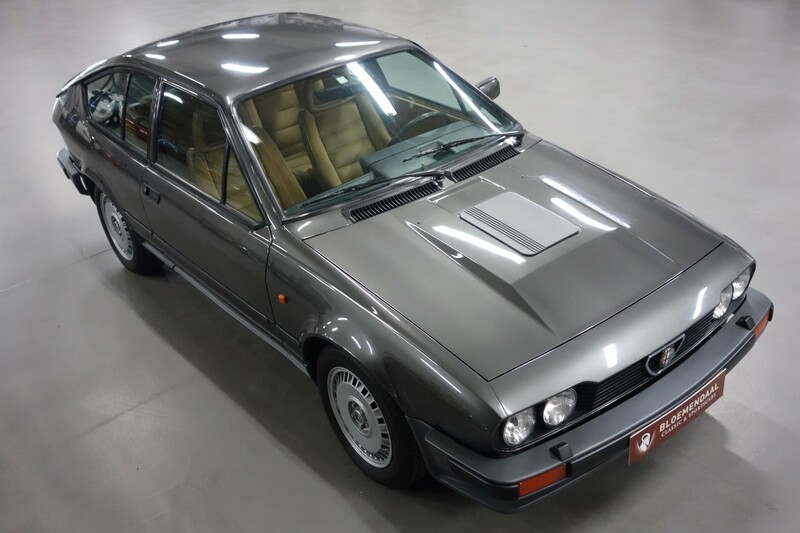 In general this is a GTV which had a lot of passion and attention. 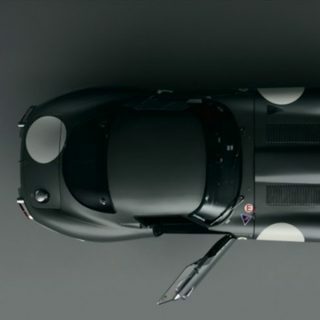 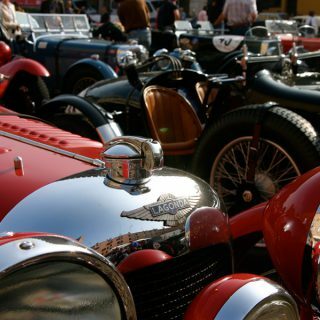 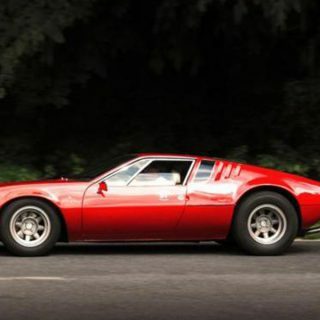 However, the current owner wishes to sell the car because he does not really fit within his collection. 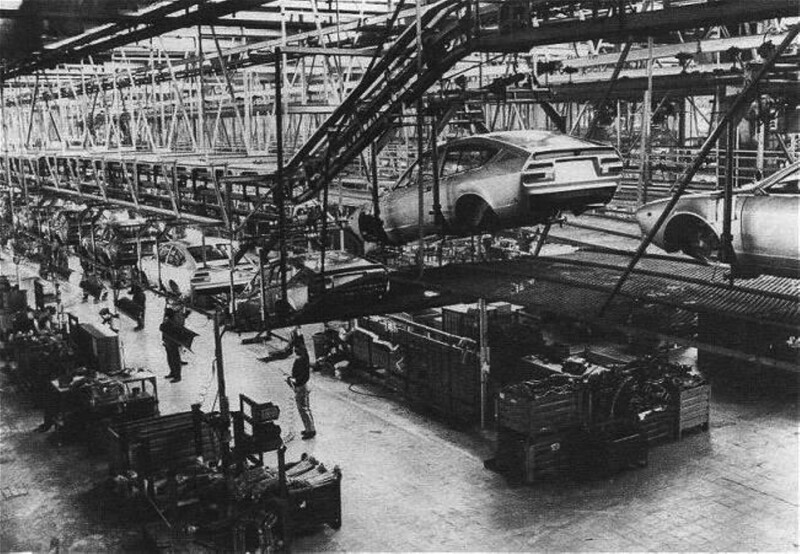 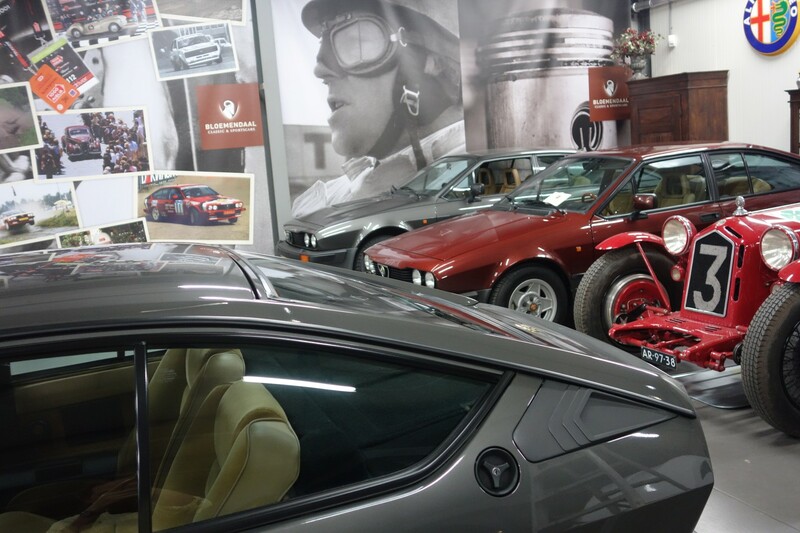 That creates an excellent opportunity for the enthusiast, who has to carry out a few small things before the GTV can be called “perfect”. 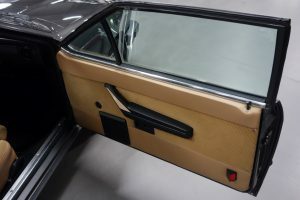 We always go for the best possible and think replacement of the door trim is necessary, as is the replacement of the air conditioning pump. This part has been removed for some unclear reason during the recent cylinder head overhaul, but it is complete. 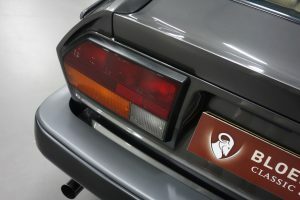 However, it is an original option, so it must be mounted again. 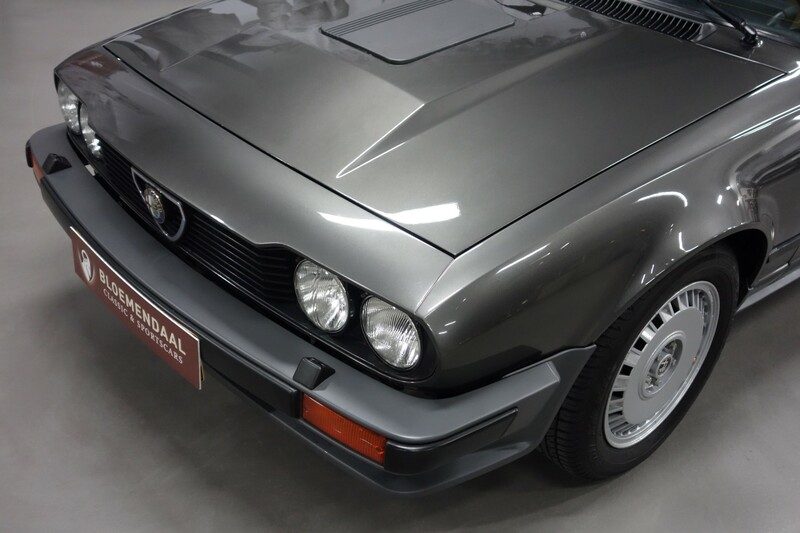 A few things that are easy to do in terms of costs, and from that point of viewt we can now offer this GTV6 at a very fair price. 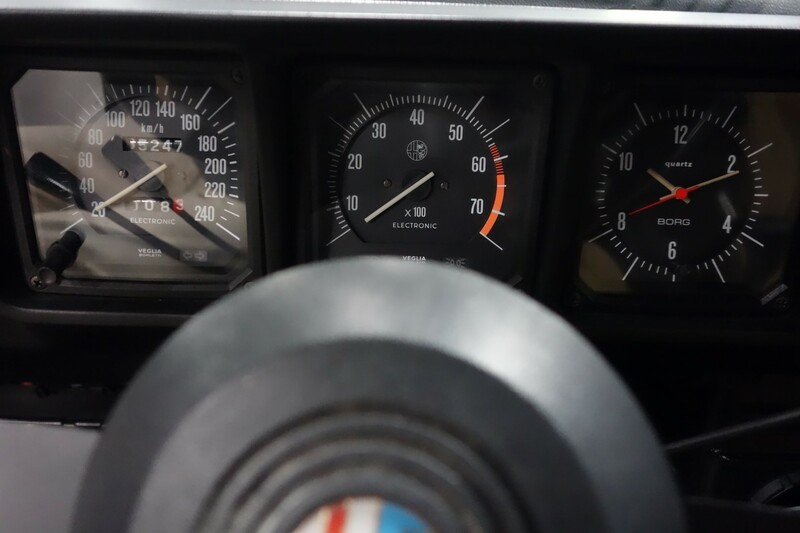 160 bhp at 5600 rpm. 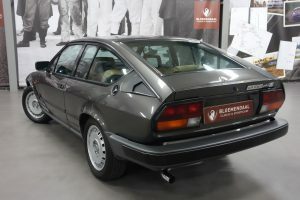 Essentially a coupé version of the Alfetta, the GTV6 retained the four-seat layout and Giugiaro styling of its saloon sibling, but also brought a sonorous six-cylinder engine to the table. 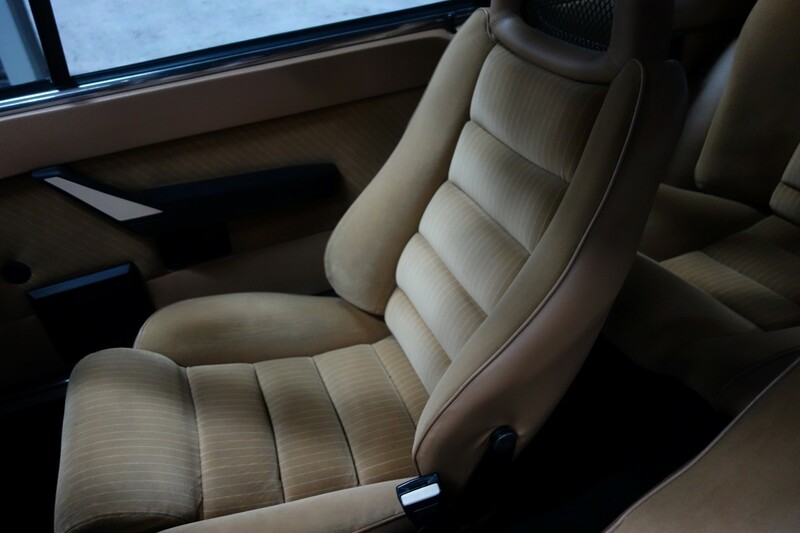 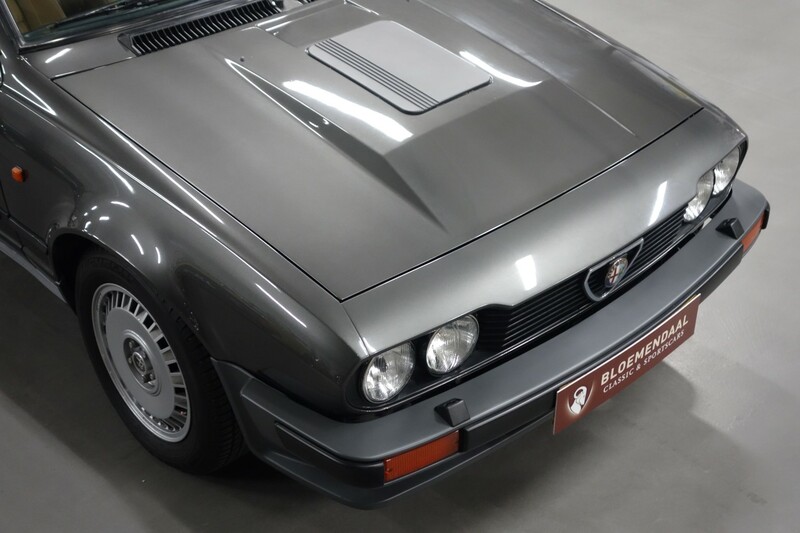 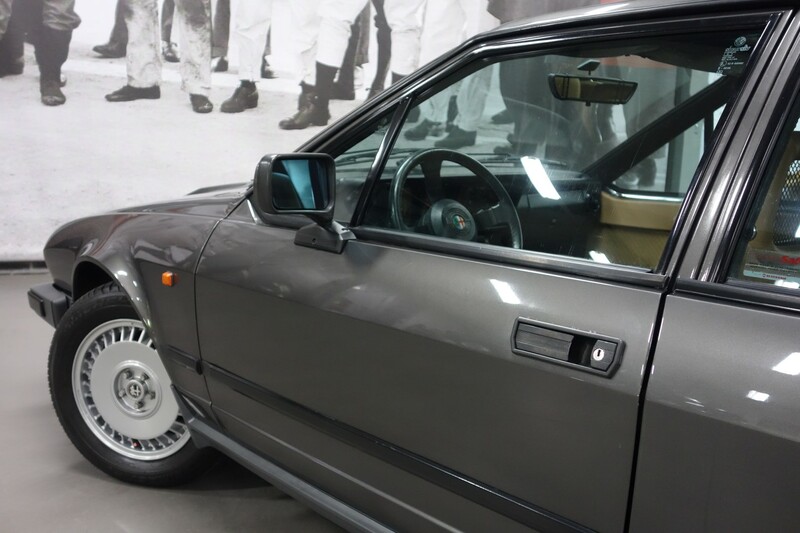 The in 1981 revealed GTV6 had all the ingredients of a true Italian sports car – penned by Giugiaro, voiced by a V6, and driven by the dandified. 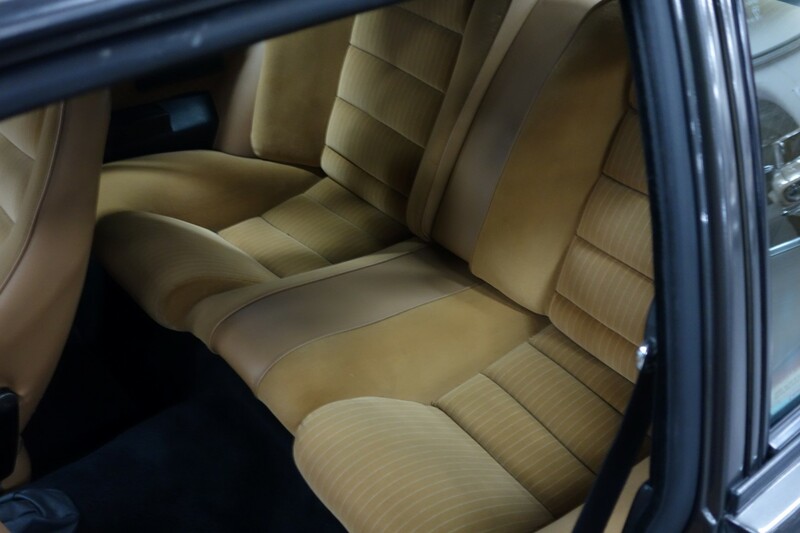 But there was one thing which separated it from its compatriots: it could carry not two, but four occupants in leather-trimmed comfort. 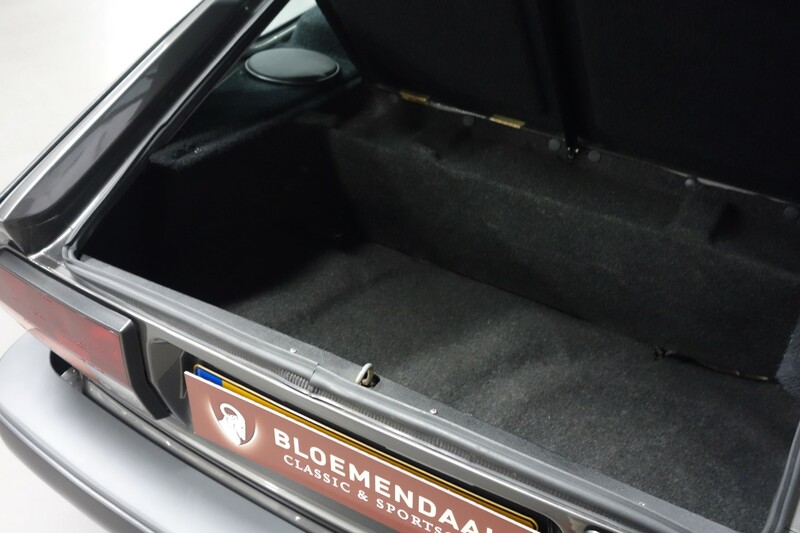 In addition, there was ample space for luggage. 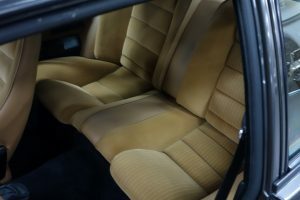 The interior was more like a luxury saloon than a sports car in terms of its ambience. 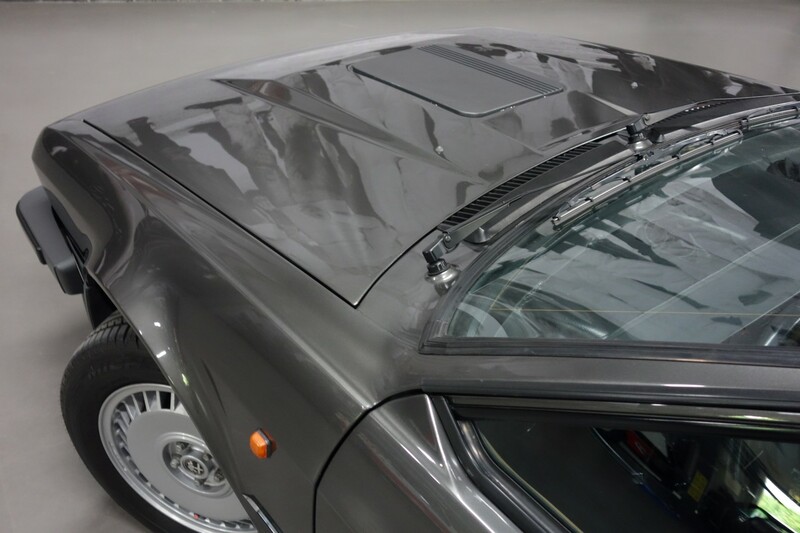 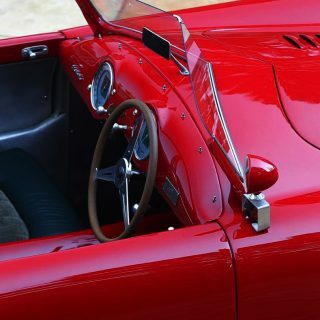 Thanks to the large glass area, it had a light and airy atmosphere; however, the car retained its purposeful squat, often lost when rooflines are raised in the transition from drawing board to forecourt. Shielded beneath the bonnet of the GTV was a choice between two classic Alfa engines: the 2.0-litre 4-cylinder twin-cam from the Giulietta or an all-aluminium 2.5-litre V6 engine, with 131 and 160HP respectively. 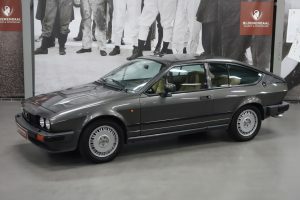 By far the preferred option was the GTV6, which housed what was widely regarded as the ‘best-sounding V6’ on the market at the time. 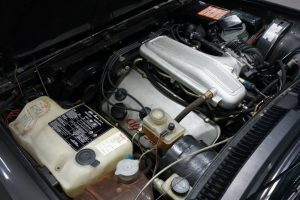 Despite being borrowed from the Alfa 6 saloon, the powerplant really found its home in the GTV6, no doubt due to the Bosch fuel injection which replaced the previously-used carburettors. 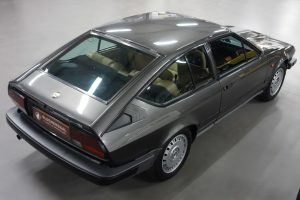 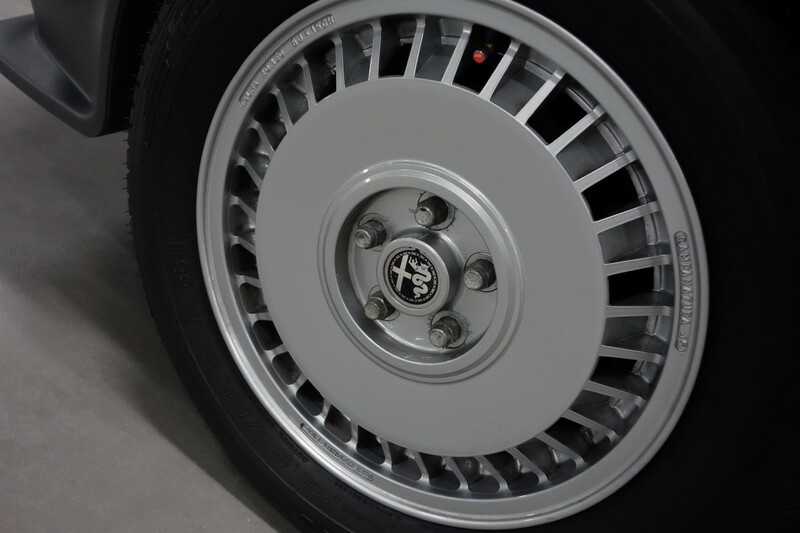 The creamy V6 and striking coachwork masked an unusual transaxle layout – the GTV and its four-door Alfetta sibling were among the rare cars that use such a set-up, despite the motor and driven wheels being at opposite ends of the car. 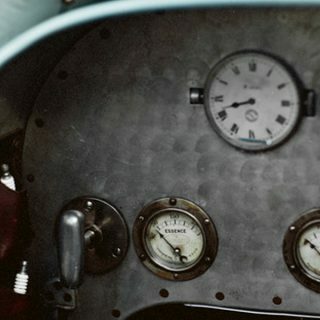 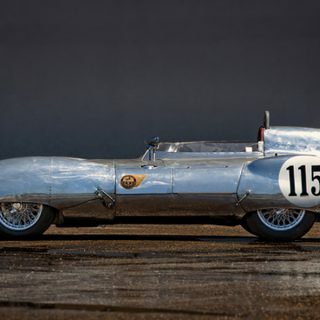 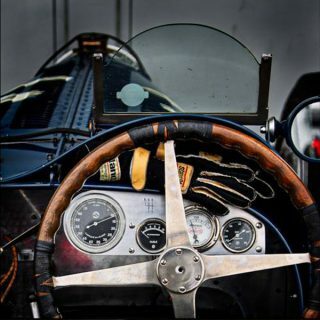 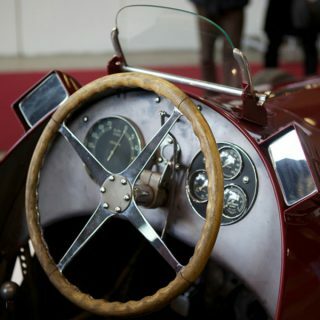 This quirk established an unconventional way of separating the wheat from the chaff; an unfamiliar pilot would soon draw a crunch from the gearbox which would only be drowned out by the laughter of onlookers. 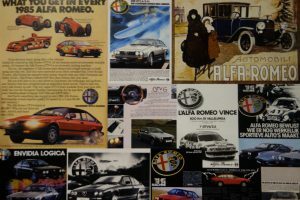 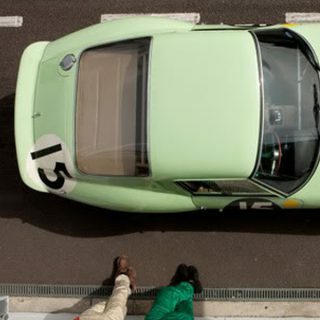 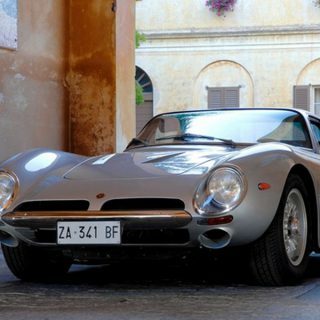 Only those who knew the car were aware that second gear had to be engaged before first – the GTV was a car that needed to be conquered, in the character of a true Italian sports car.